Managing Director of SOEC since 2005. Veteran of the Southern California automotive scene. 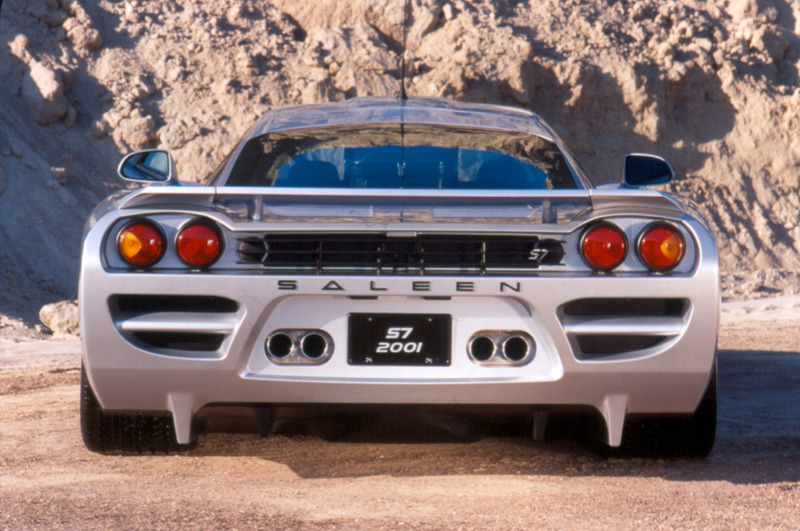 Involvement with Saleen dates back to the mid 1990s. 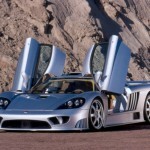 IRVINE, Calif. — The Saleen S7’s 7-liter engine is a technical tour de force, producing 550 horsepower at 6400 rpm. Based on a Ford form factor, the Saleen-massaged all-aluminum V-8 follows traditional American cam-in-block design to produce significant horsepower and torque with high reliability. The engine generates 520 foot-pounds of torque at 4000 rpm, transferred to the rear wheels through a new generation six-speed transaxle. 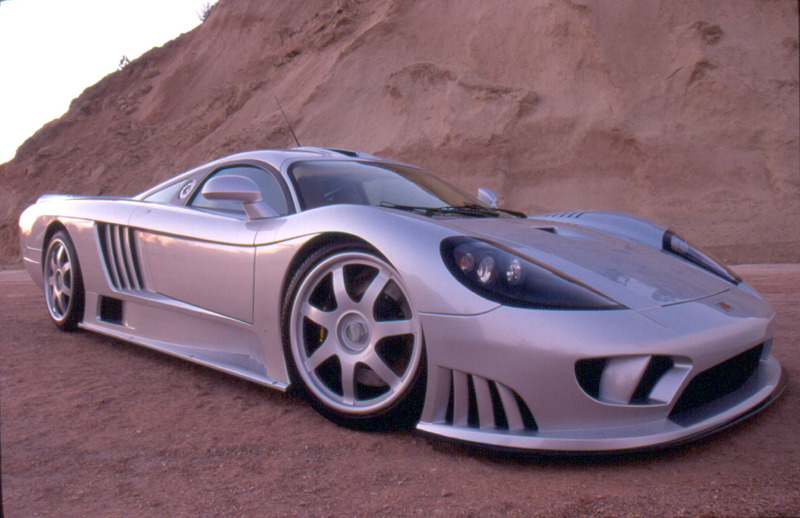 Although the casting is based on a traditional Ford design, it was completely re-engineered by Saleen to be eight inches shorter than the block on which it was based. This Front Engine Accessory Drive (FEAD) system permits the use of a Saleen-designed, side-mounted water pump to help improve weight distribution and packaging. Air flows into the engine through a carbon fiber induction system leading to a magnesium throttle body and intake manifolds. Induction is through a true downdraft port fuel injection system directly to the intake ports. 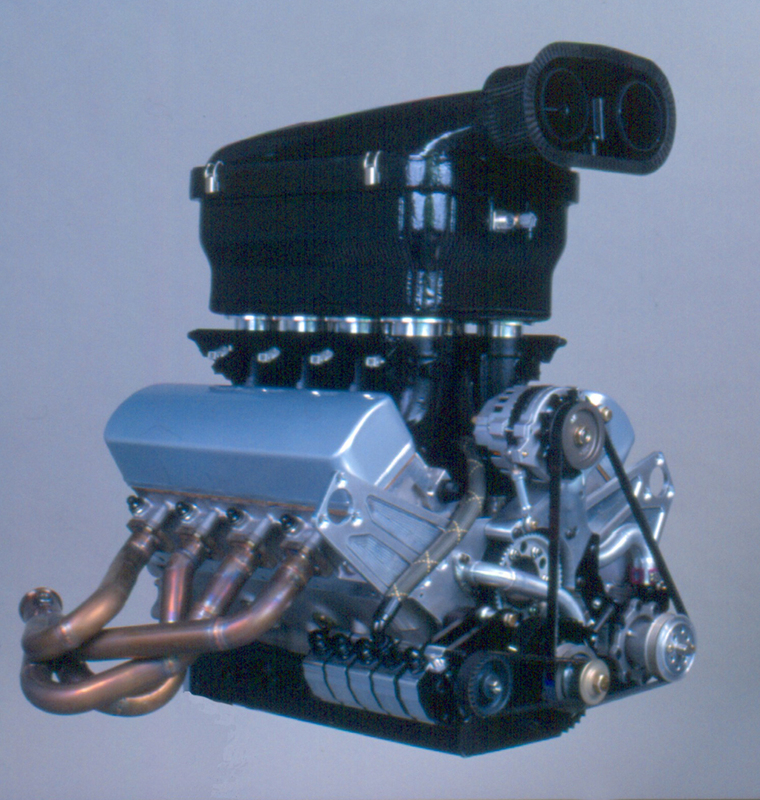 Intake trumpets are matched to each cylinder. The S7 engine uses materials and engineering from aerospace to reduce weight and improve reliability. The all-aluminum Saleen cylinder heads are created using Computerized Numerical Control (CNC) lathes. Beryllium exhaust valve seats allow more efficiency by transferring heat away from the cylinders. Stainless steel valves and titanium retainers are used for durability. Forged pistons reduce reciprocating weight while providing improved strength. Piston rods are made of the latest material, EN40B billet steel. Saleen designed its own crankshaft for the S7, using 4340 forged billet steel. A Saleen dry sump oil delivery system ensures reduced friction while providing enhanced lubrication to the reciprocating parts. This allows for improved ground clearance and more importantly, in hard or sustained cornering, prevents oil starvation. 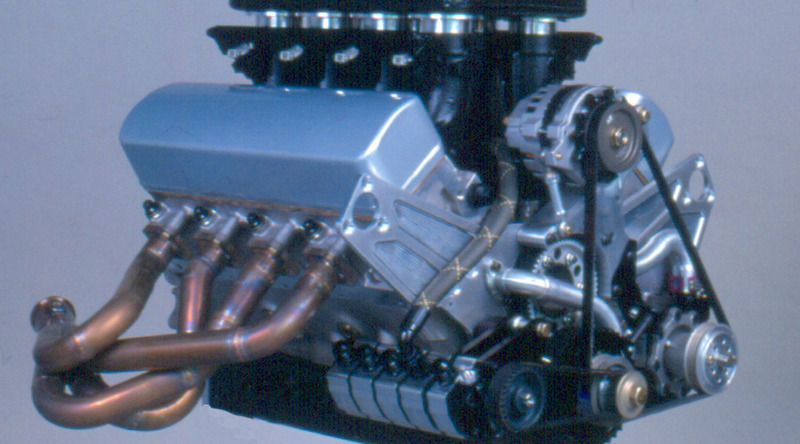 Engine placement in the S7 was a consideration as part of the complete engine design process. The mid-engine placement allows the engine to be tall. This design also provides advantageous placement for the induction and exhaust plenums. The camshaft is belt driven to provide more accurate valve placement and reduce noise compared to a chain drive. The S7’s Saleen-designed muffler is enormous, reducing unwanted noise, and acting as part of the rear impact crumple zone. The exhaust exits through catalytic converters, as the S7 engine is designed to meet all Federal and California emission-control standards as a transitional low-emissions vehicle (TLEV). A Ford EEC V engine management system with direct ignition and OPD II helps the S7 meet the requirements. 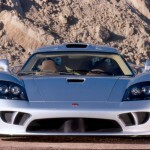 The Saleen S7 is certified for sale in both the United States and United Kingdom. Designed and built at Saleen’s Irvine, California manufacturing facility, the S7 is sold in the U.S. through select Saleen Certified Ford dealers and other newly added Saleen Certified dealers specializing in exotic automobiles. Vehicles for Europe and the Middle East will be produced at a satellite facility in conjunction with RML located in England. Worldwide volume is projected to be 300-400 cars over the estimated four-year production run. Work has begun on a less-expensive, higher volume model that will help achieve sales goals. 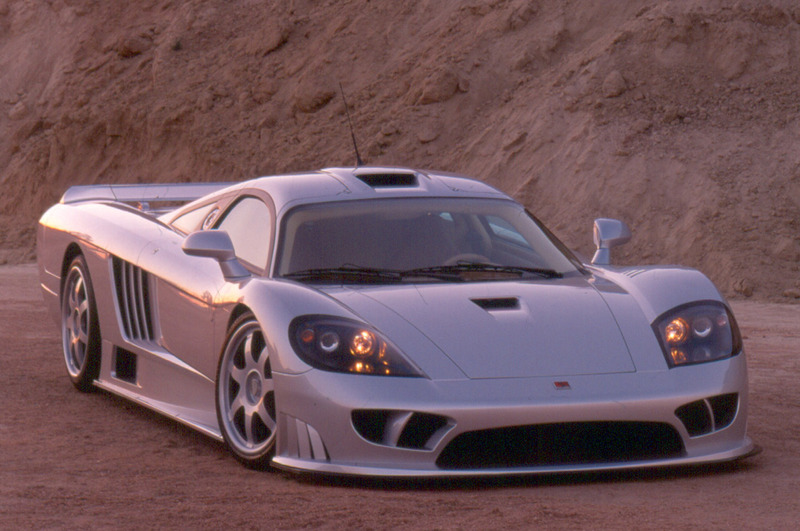 The Saleen S7 went on sale at its introduction at the famed Monterey Historic Races on August 19, 2000. First vehicles will be delivered to customers in the second quarter of 2001. The Manufacturer’s Suggested Retail Price (MSRP) is $375,000. 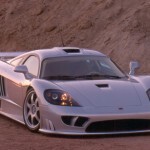 The 2001 Saleen S7 is a proof of concept for what Saleen, Inc. has been building for 17 years. 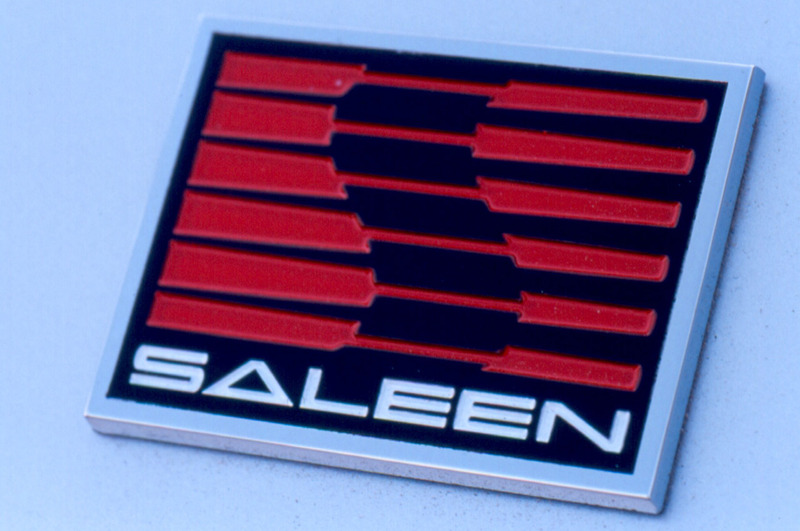 As a federally certified specialty vehicle manufacturer, Saleen has produced over 7000 vehicles – using and perfecting the efficient Niche Manufacturing process, which is now being studied and adopted by the world’s major automakers as they strive to quickly and economically bring small volume products to market. 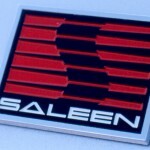 Saleen, Inc. facilities include total research, design, engineering, and manufacturing capabilities. The company’s line also includes the Saleen S281 Mustang, Saleen XP8 Explorer, the SR Widebody, Saleen Performance Parts, and Saleen Engineering and Certification Service. 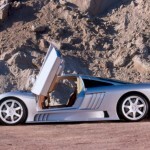 IRVINE, Calif. — Saleen, Inc., internationally known specialty vehicle manufacturer and racecar builder, has created the first true American supercar with the launch of the 2001 S7. The S7 is designed to compete with the most exclusive high performance cars in the world, while providing a distinctly American driving experience. Top speed, quickness, and racecar handling are combined with luxury and everyday road dynamics. The S7 chassis and suspension is the result of Saleen’s years of racetrack and racecar experience. As part of their industry leading Niche Manufacturing process, which uses best-in-practice original equipment (O.E). support from around the world, famed British racing house Ray Mallock, Ltd. (RML), was enlisted to assist in developing the S7’s advanced chassis, suspension system and overall packaging. The S7 architecture begins with a space frame chassis to which honeycomb composite reinforcing is grafted. 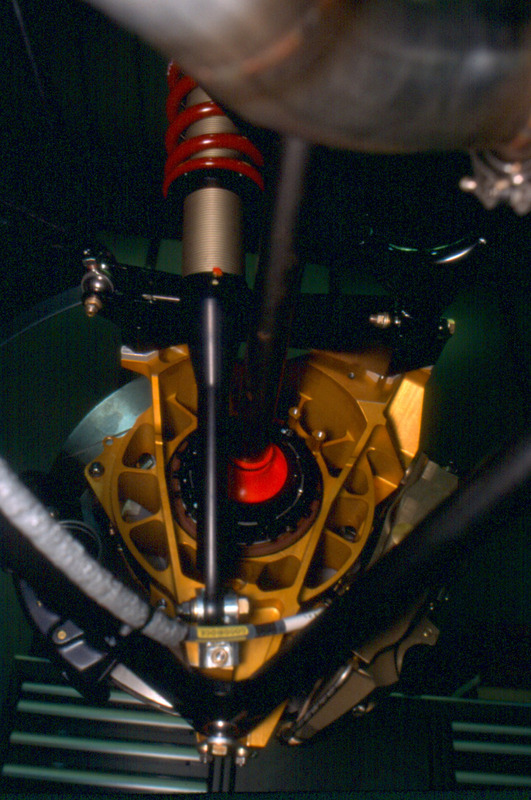 Suspension is fully independent unequal length “A” arms. Distinctive CNC machined billet aluminum spider web-like uprights allow airflow to brakes and wheel bearings, which facilitates cooling and increases durability. Lightweight aluminum dampers with coil over springs are used on all four corners. With a 106-inch wheelbase and 68.75-inch front track, the S7 has a relatively big footprint. This works to enhance stability. 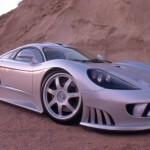 Overall the Saleen S7 is 188 inches long and 78.3 inches wide. The car is only 41 inches high, three inches lower than a Lamborghini Diablo, and tips the scales at about 2750 pounds, again besting the Diablo by 650 pounds. 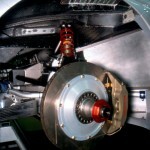 Brakes are Saleen engineered/Brembo-supplied with 6-piston 15-inch ventilated discs in front and 14-inch for the rear. Wheels are center hub-mounted units specially engineered for the S7. 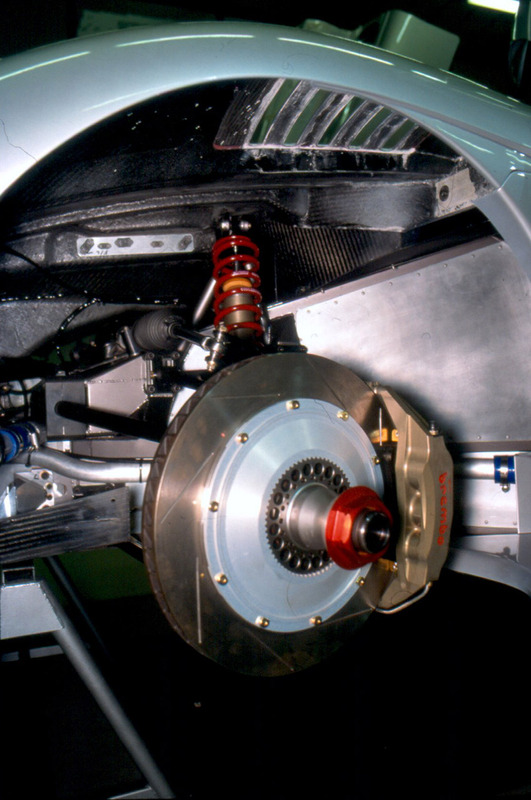 The car is fitted with Pirelli P-Zero Rossa tires, with fronts being 275×30-19 and the rears 355×25-19. The S7 fuel tank is in the center of the car, which allows for better overall packaging, increased safety and less handling deviation between full and light fuel loads. 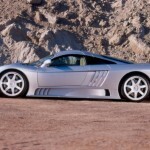 In designing the S7, Saleen put drivability on a wide variety of road surfaces high on the list of objectives. And, while the S7 would be at home on any racetrack, it is also a car that can be driven with pleasure on highways, autobahns and back roads. 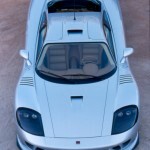 The Saleen S7 hit its engineering target of providing best-in-class performance with great driving pleasure. 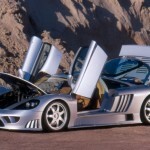 IRVINE, Calif. — Saleen, Inc., a specialty vehicle manufacturer for 17 years, has created the first true American supercar with the launch of the Saleen S7. The S7 is designed to compete with the fastest, quickest, best handling, most luxurious grand touring cars in the world, while providing a distinctly American driving experience for the fortunate few who will own one. 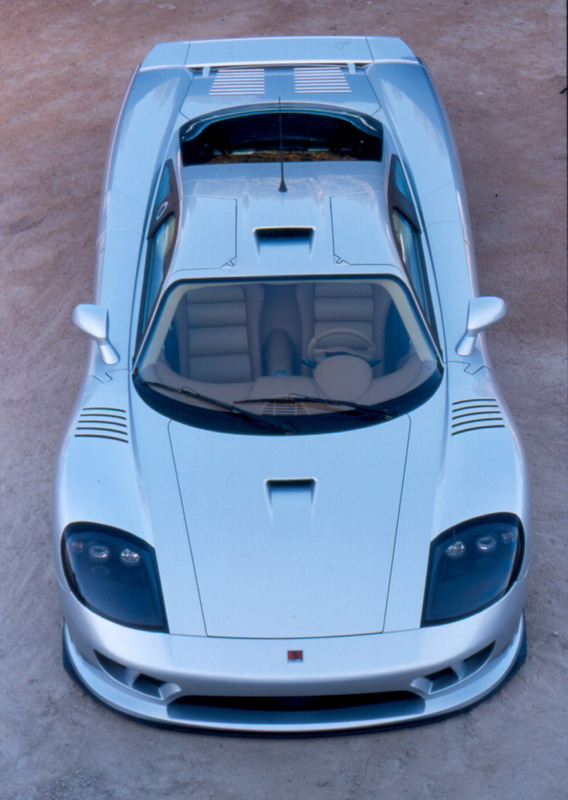 Designed, engineered, certified, manufactured and marketed by Saleen, the S7 was conceived to combine the performance of a track-only racecar with the driving pleasure of a road car. 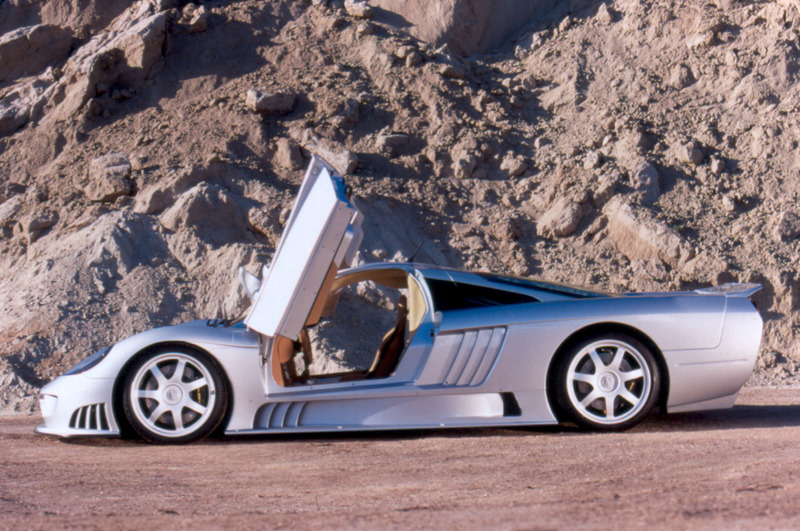 Working with some of the world’s most respected and technologically advanced automotive suppliers, the Saleen S7 will have gone from concept to first customer deliveries in just 18 months. 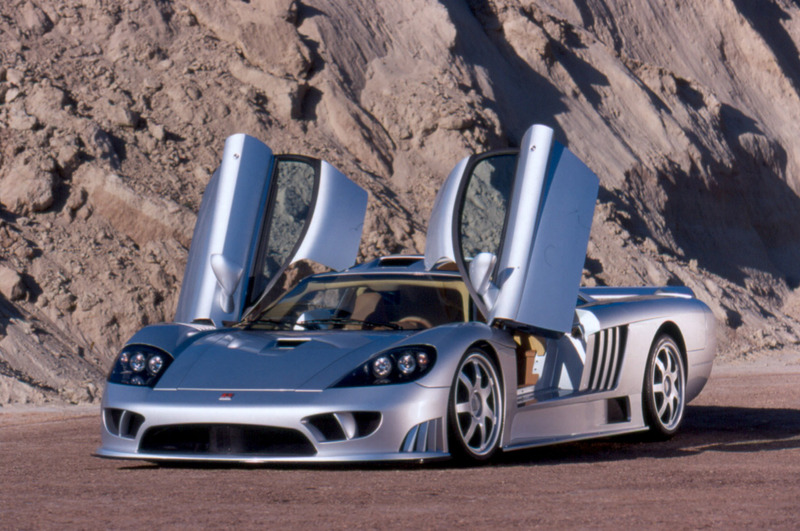 A true supercar, the Saleen is S7 is capable of over 200 miles per hour. Zero-to-60 time is under four seconds. With its extreme ground effects engineering, at 160 mph the car could be driven upside down and still stay attached to the road. 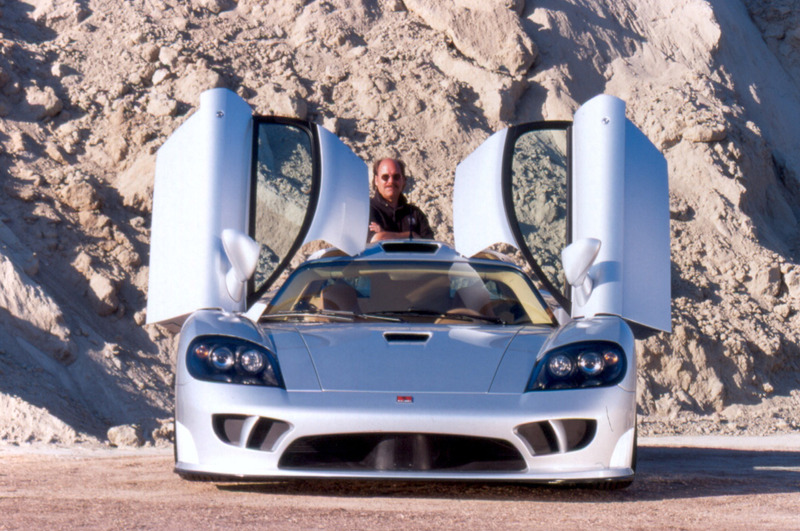 When designing the S7, Saleen put drivability on a wide variety of road conditions high on the list of objectives. And, while the S7 would be at home on any racetrack, it is also a car that can be driven with pleasure on highways, autobahns and back roads. 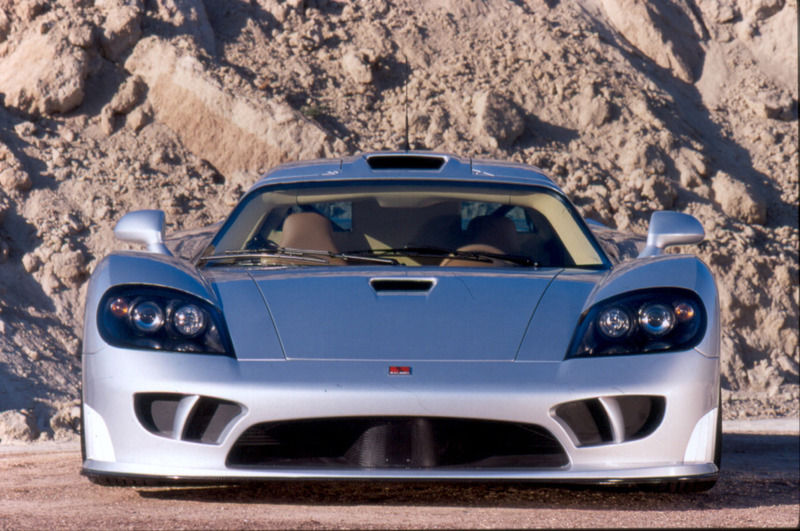 The Saleen S7 architecture begins with a space frame chassis to which honeycomb composite reinforcing is grafted. 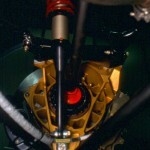 Suspension is fully independent unequal length “A” arms. 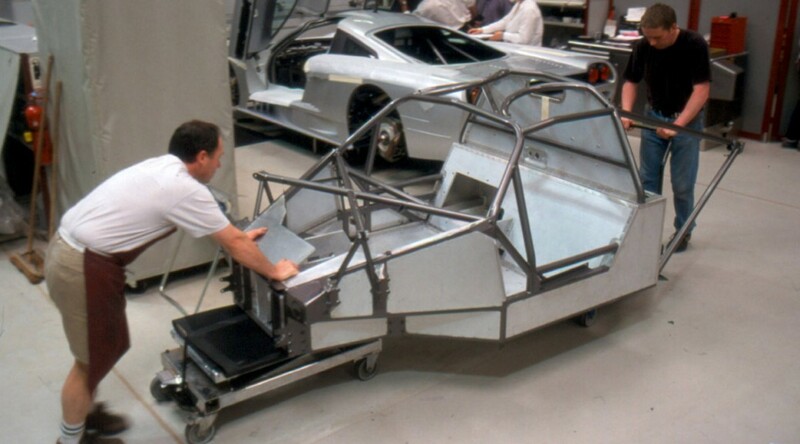 The S7 chassis and suspension are the result of Saleen’s years of racing, racecar building and high performance road car manufacturing experience. 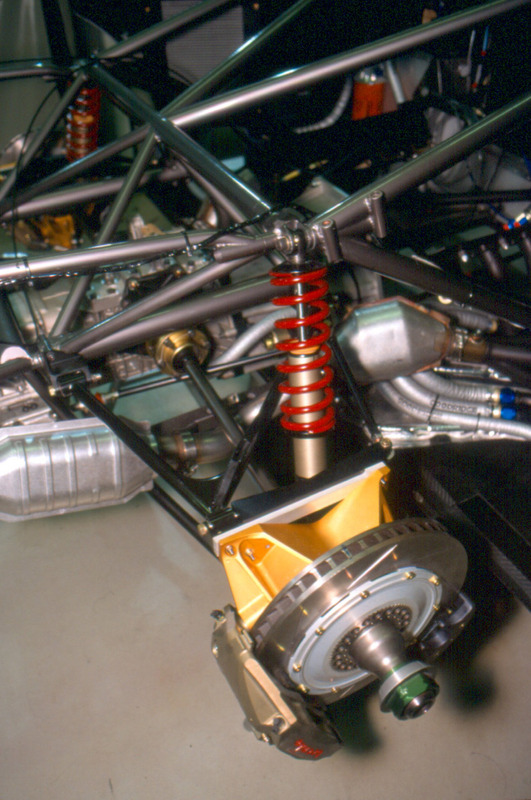 Famed British racing house Ray Mallock, Ltd. (RML) was enlisted to assist with the design and building of the chassis and packaging of the S7’s advanced suspension system. 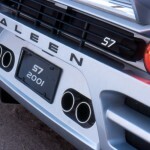 The S7 engine and drive train are Saleen designed and incorporate modern racing motor technology and engineering. Saleen/Allen Speedlab race team engine builder, Bill Tally, is the engine’s designer. Based on a Ford-cast all aluminum block re-engineered by Saleen, the cam-in-block 7-liter motor generates 550 horsepower at 6400 rpm. Redline is 7000 rpm. The motor delivers 520 foot-pounds of torque at 4000 rpm. Space age materials and engineering are used throughout: magnesium throttle body and intake manifolds, carbon fiber induction system, stainless steel values, titanium retainers, beryllium exhaust valve seats, ceramic coated stainless steel exhaust system, and race-derived all-aluminum CNC machined Saleen designed heads. An exclusive Saleen-designed Front Engine Accessory Drive (FEAD) system results in an extremely compact motor, allowing for better packaging and overall weight distribution. 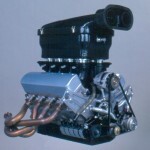 The motor incorporates a unique Saleen-designed side mounted water pump, extremely accurate belt-driven camshaft drive, and a Saleen-engineered dry sump oil delivery system. The engine’s mid-chassis placement optimizes weight distribution and center of gravity, making room for an unusually tall engine that allows for a very efficient plenum arrangement. With true “downdraft” induction, fuel is fed through matched trumpets in a straight shot to the ports. A Saleen PowerFlash control system computer handles engine management. The ignition system is integrated coil-on-plug. A new generation longitudinally mounted six-speed transaxle, with unique Saleen bell housing, transfers power to the wheels. The clutch is a metallic 5.5 inch, four plate unit with hydraulic actuation. The S7’s shape was “designed” by the wind. 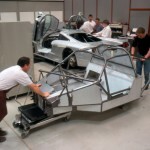 Optimal aerodynamics and no compromise top speed performance objectives were achieved with extensive wind tunnel work. Targets were high co-efficient of drag, optimum drag-to-lift ratio, and extreme down force. The S7 has “full tray” body sculpting underneath. With the performance targets met, longtime Saleen design consultant Phil Frank then personalized and refined the aesthetics of the S7 with the addition of signature Saleen elements. The gill-like ducting is, of course, fully functional. The autoclave carbon fiber body panels beautifully incorporate the advanced aerodynamics and include: integrated split-channel air flow throughout the car, full underside air management, advanced front tray and side skirt designs, and integrated full body wing. 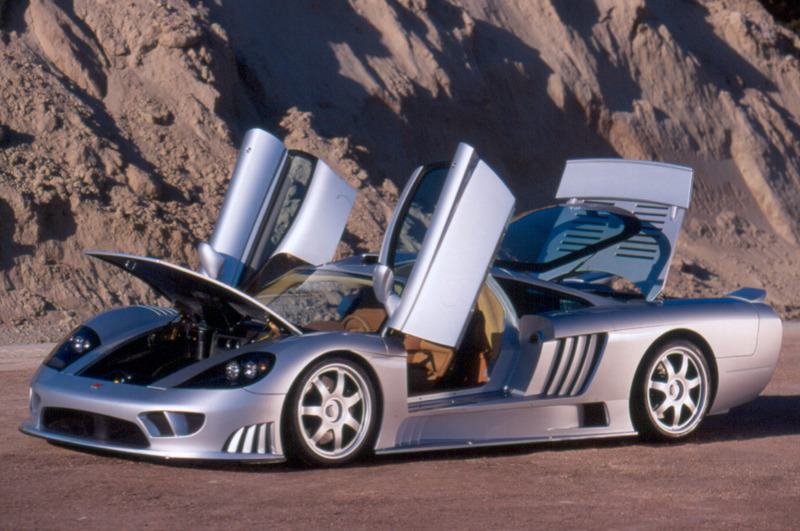 As much care has been given to the creature comforts of the Saleen S7 as to its performance. Great attention was given to seating position. 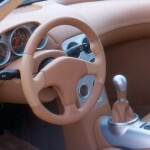 The car features asymmetrical seating, with the driver position moved slightly more to the center than the passenger. This improves the driver’s ergonomics, improves the weight distribution, and allows the passenger side to have a narrower threshold. The S7 is unusually accommodating of tall drivers. 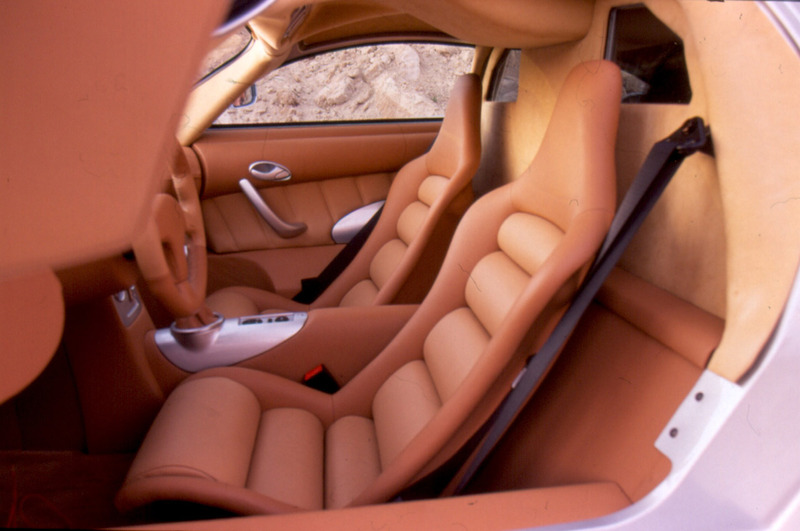 Upholstery is covered with Connolly leathers and suedes. Accents are brushed aluminum and painted body-color highlights. Air conditioning, power windows, adjustable pedals, and a 6-disc CD player are all standard. 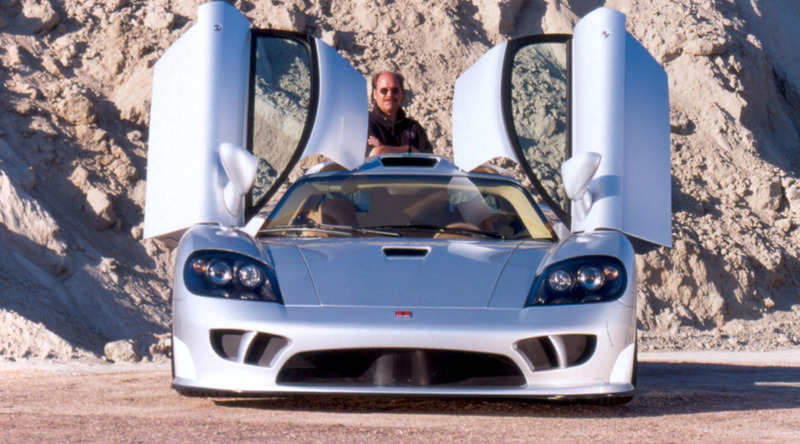 The Saleen S7 has two unique interior features. 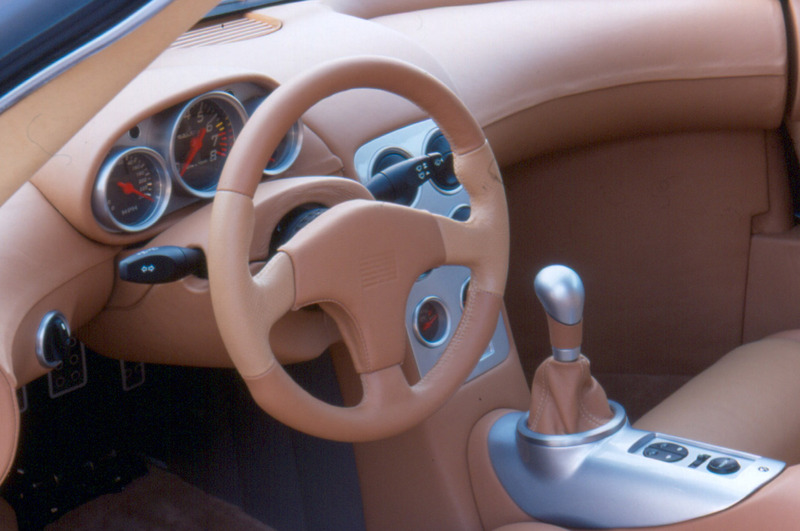 The first is a live video rear view “mirror” – there is a small video camera inconspicuously mounted in the rear of the car – and the second is a steering wheel that can be removed if wished to ease ingress and egress. 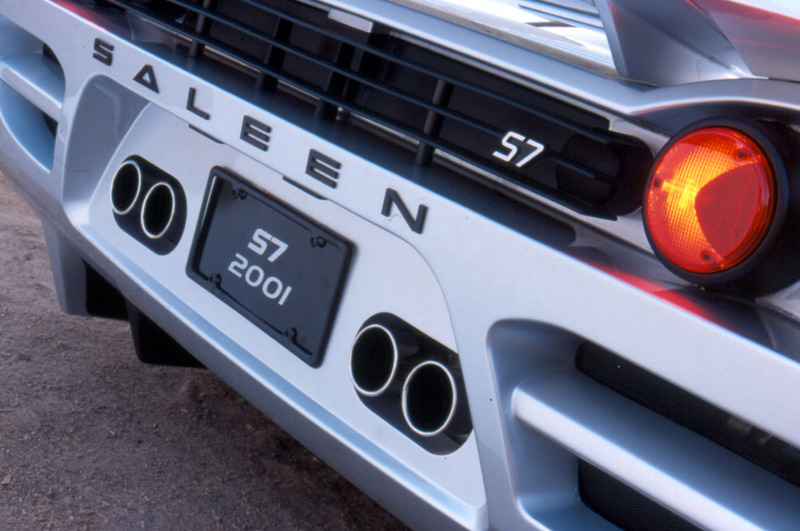 The mid-engine Saleen S7 has front and rear trunks and comes with fitted luggage. In true supercar style, the doors open up and away from the body. 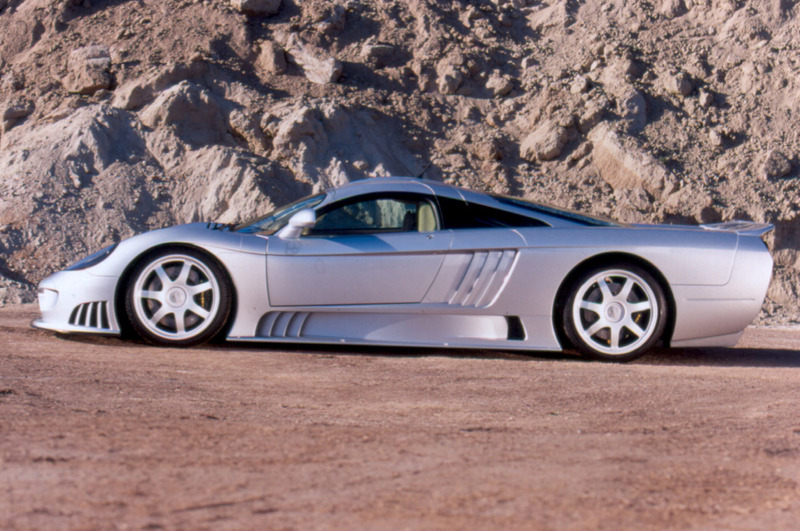 While the S7 is an American supercar, the vehicle itself reflects a “best-in-practice” philosophy, where Saleen has incorporated superior components from around the globe in order to manufacture the best vehicle possible. 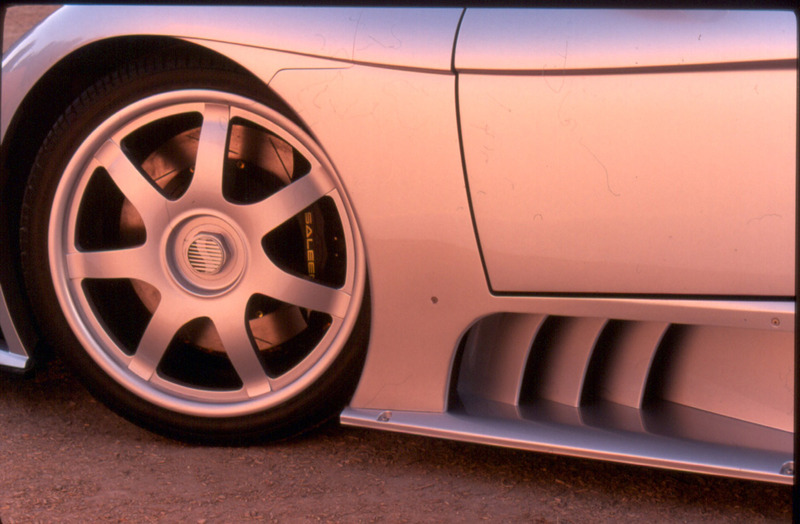 For example, the 2001 Saleen S7 utilizes Brembo brakes from Italy as well as numerous high technology pieces from companies located in the Midlands area of the United Kingdom, a region that is to motorsports what the Silicon Valley is to computers. 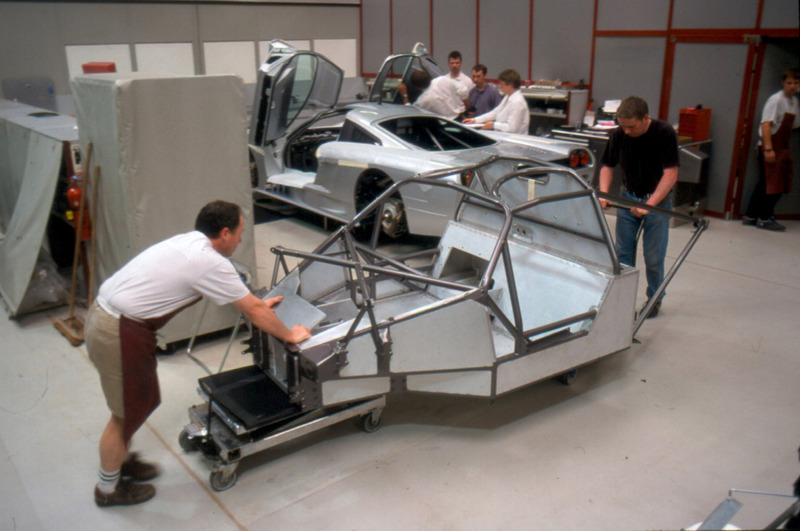 The S7 was wind tunnel tested at the University of Glasgow in Scotland. PORTLAND, Ore.–(BUSINESS WIRE)–Jan. 14, 1999–Damerow Beaverton Ford, the Pacific Northwest’s largest Ford dealer, has announced a merger with Asbury Automotive LLC (Asbury), whose headquarters is located near Philadelphia. In May, 1998, Thomason Auto Group of Portland, the largest automobile multi-dealership in the Pacific Northwest also merged with Asbury and formed Asbury Oregon Automotive (Asbury Oregon). Scott Thomason said the two local dealerships, operating under the Asbury umbrella, will have sales nearing $1 billion by the year 2000. With the addition of Damerow to its other 90 franchises, Asbury becomes the third largest auto retailer in the nation with 1998 annualized revenues of $3.2 billion. When the merger is completed, Thomason Auto Group and Damerow will hold the number one local market sales position in every one of the following brand categories: Ford, Honda, Hyundai, Mazda, Nissan, Subaru, Suzuki and Toyota. Thomason is president and chief executive officer of Asbury Oregon. Roderick Livesay is chief operating officer and chief financial officer of Asbury Oregon. They will work with John Francis who remains as senior vice president and general manager of Damerow Beaverton Ford. Francis also will be responsible for the Ford Motor Company relationship for Asbury Oregon. Thomason said the merger will strengthen the position of Thomason and Damerow, giving customers greater selection, lower costs and better service. Damerow executives George R. (Randy) Francis, long-time president of the company, and his son, John Francis, were instrumental in the merger decision. Financial terms were not disclosed regarding the merger, which should be completed by March 31, 1999. Damerow’s 1998 sales were nearly $175 million, making it the leader among Ford dealerships in the Pacific Northwest. The company employs 280 and occupies 15 acres of property at its various dealership sites in Beaverton. The Damerow dealership headquarters is located at 12325 S.W. Canyon Road in Beaverton. Together with Thomason Auto Group, Asbury Oregon projects $850 million in sales in 1999. The combined companies will have approximately 1,200 employees. “The goal of the merger is to provide customers with lower prices and better service,” said John Francis. “In addition to advantages for our customers, it will bring more opportunities for many of our employees,” Francis continued. In addition to strengthening Asbury’s position in the Northwest, the Damerow acquisition also provides Asbury with a major entry into the growing Beaverton market. The Francis family has been involved in the automobile sales and service business since 1913 when the Francis Motor Company opened its doors on Grand Avenue in northeast Portland. The company was founded by Randy Francis’s uncle, C.E. Francis. Randy’s father, George L. Francis, later joined his brother and became general manager. The company eventually grew into one of the largest Ford dealerships in the nation. In 1952, Herb Damerow was awarded the Ford franchise in Beaverton and asked Randy to join him. The Damerow location appeared to offer a better career opportunity and Randy accepted a management position there in 1955. Herb Damerow died in 1958 and Randy Francis purchased the dealership. “It’s been my life. I’ve always been fond of the industry and it has always fascinated me, even in the beginning when I was involved as a race car driver,” Randy Francis said. John Francis has been in the auto sales and service business for 31 years. He graduated from Oregon State University with a degree in business and returned to the family’s dealership to advance from assistant new car manager to new car manager. He then joined a business partner to purchase Gresham Ford and they sold that business to Brian Bickmore in 1989. Francis returned to Damerow to become a partner, senior vice president and general manager. Thomason Auto Group began as a single Ford dealership that Scott Thomason purchased from his father. Since that time, the company has entered the top tier of dealerships in the nation. Last year, the company sold over 27,500 vehicles. Net annual sales have climbed from $240 million in 1993 to approximately $545 million in 1998. Thomason ranked number 32 among the nation’s 22,000 dealerships in 1997.